Diamonds are definitely a girl’s best friend! The famous celebrity couple, Nicki Minaj and Meek Mill, sparked another galore of engagement rumors, after she posted pictures of her colossal diamond ring from Meek on Instagram, according to UsMagazine.com. The celebrity couple officially started dating back in February. Engagement rumors also stirred about their celebrity relationship when Minaj posted a photo of another diamond ring, but later cleared up that it was not an engagement ring. This celebrity couple loves to spark engagement rumors. What are some ways to get your friends and family curious about your potential engagement? 1. Using last names: An original way for your family and friends to ponder about your relationship status is by hearing you refer yourself as “Mrs. Smith” (for example). Once your loved ones constantly hear this, they’ll start speculating! 2. 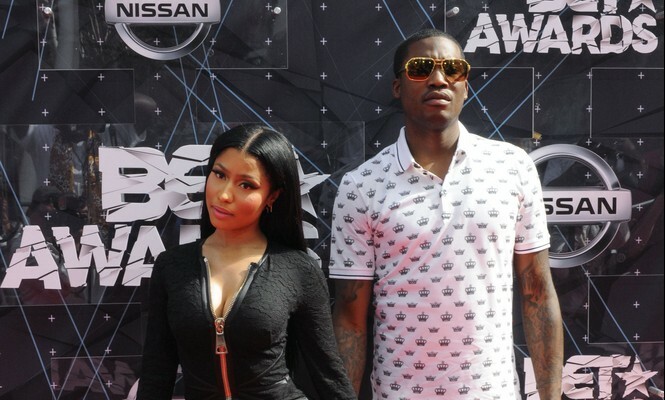 Ring bling: You can follow in the footsteps of celebrity couple Meek and Nicki, just by rocking your special jewelry. Of course if your family and friends get a glimpse of your ring, curiosity will peak. 3. Planning ahead: Of course planning for the future always work when it comes to engagement. Your close ones will definitely want to know why you’re always talking about what designer dress you’d love to wear for that Big Day. What other different ways can make your close ones curious about your engagement? Comment below.